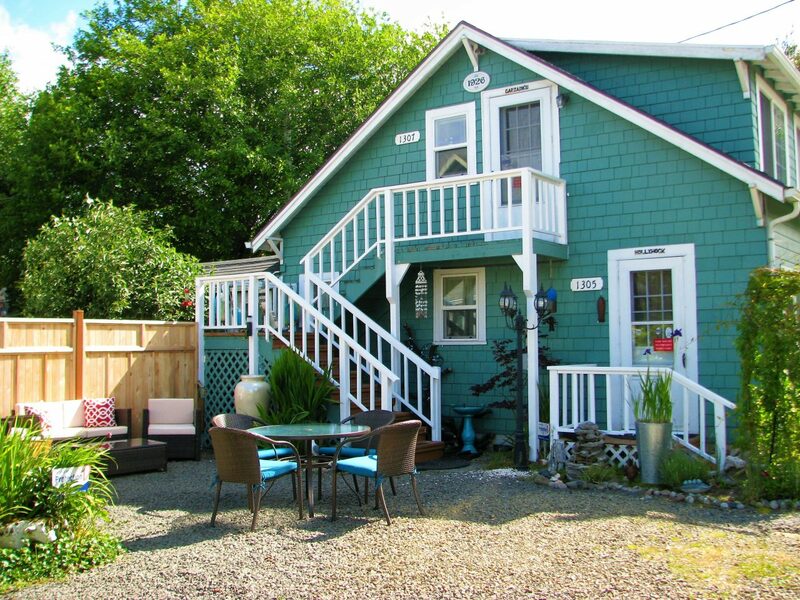 This studio, a second floor cottage, is a relaxing and romantic getaway, decorated in a unique nautical theme. 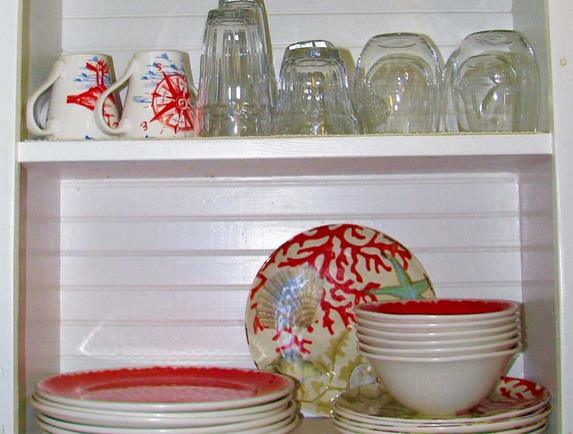 Enjoy the artistic painting in the kitchen, as well as the original bead-board and architectural design from a by-gone era. Adults only in this cottage. 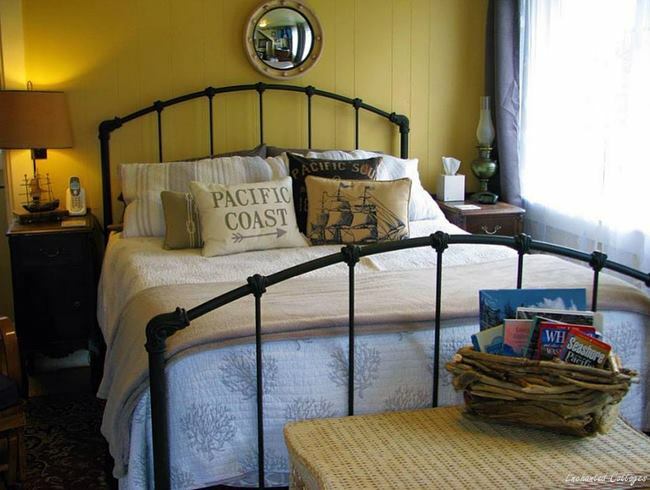 Our Captain’s cottage is perfectly suited for a maximum of 2 guests. The 1926 updated cottage has a ceiling height of 6’10”. The bathroom and kitchen have partially slanted ceilings as shown in the photographs. 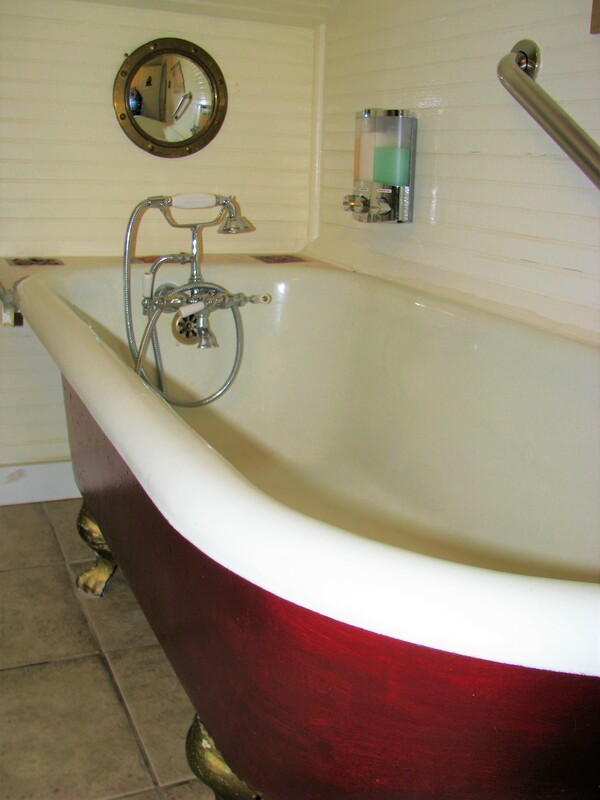 Full bath features a claw foot tub, hairdryer, shampoo, conditioner, body wash and other amenities. 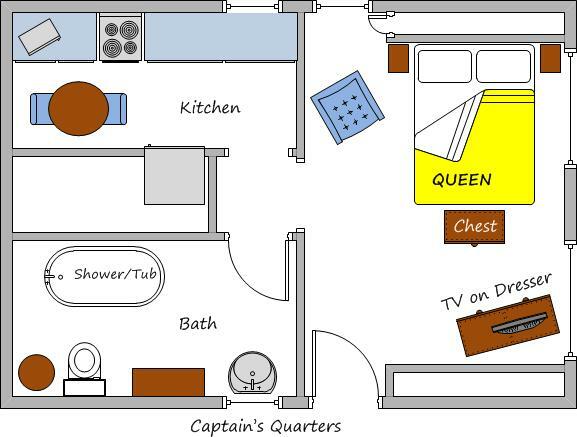 Also included, 2 soft, warm bathrobes for your use while staying in the Captain’s Cottage! We love bamboo! 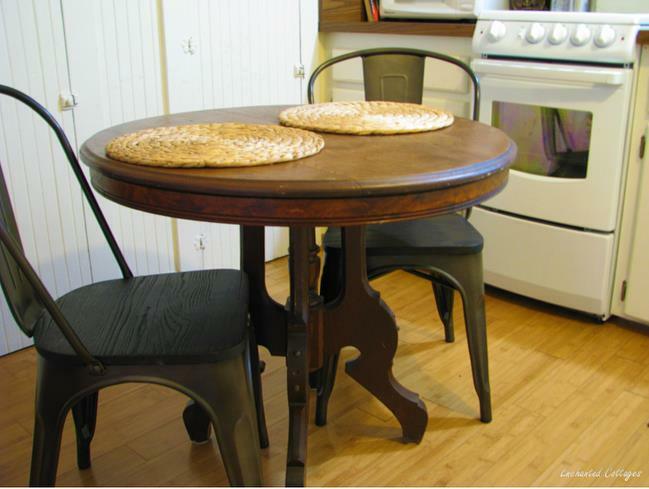 We hope you will too considering that Captain’s Cottage has bamboo floors and tiles with unique inset patterns. 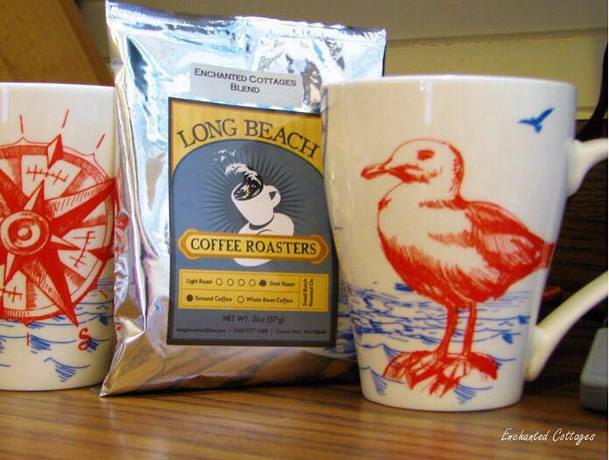 Your morning coffee in our nautical romantic getaway is from our local Long Beach Coffee Roasters and is a special Enchanted Cottages blend. You’ll also enjoy welcoming green teas, cookies and candies. This second floor studio has one queen bed with a heavenly mattress. Bedding provided. The electric fireplace from our Captain’s Cottage offers our guests an extra cozy feel. 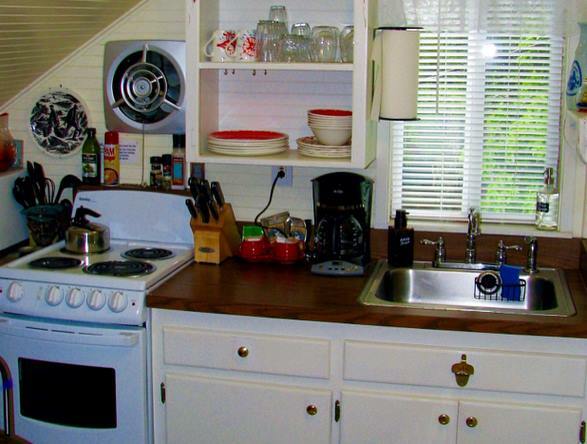 Fully appointed kitchen includes full-size stove, refrigerator/freezer, microwave, coffee maker, toaster, dishes, glasses, coffee cups, silverware, cookware and a dining table for two. 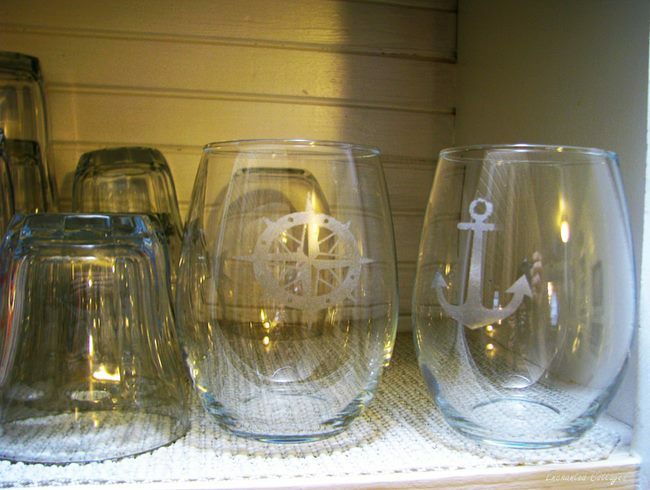 The Captain’s Cottage is decorated in a nautical romantic getaway theme. We hope you’ll enjoy this authentic decor during your stay with us. FREE WiFi High-Speed Internet, FREE Netflix, Free Basic Cable. FREE high-speed internet. FREE Netflix and basic cable. The cottage also has games and Blueray/DVD player.